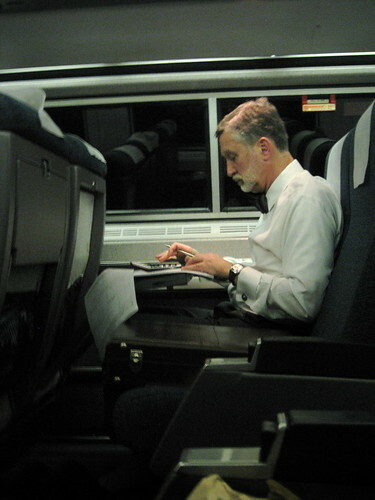 First I noticed his attaché case. Then his oversized calculator. Then his cufflinks and his bow tie. At first I thought he must be a professor — who else would be in this costume? But as I looked closer I saw that he was working on some financial documents, maybe tax forms. I admired his style, and I quietly snapped a pic. In the always-connected, overwrought world we live in, it’s a breath of fresh air to see someone doing things the simple way… and probably getting it done a lot more peacefully. It's always good to not be to dependent on technology.